GanttProject is a free project management and scheduling app for OSX, Windows and Linux. Regardless of your level of expertise in project management theory, you’ll find GanttProject a lot more exhaustive compared to other project management tools. 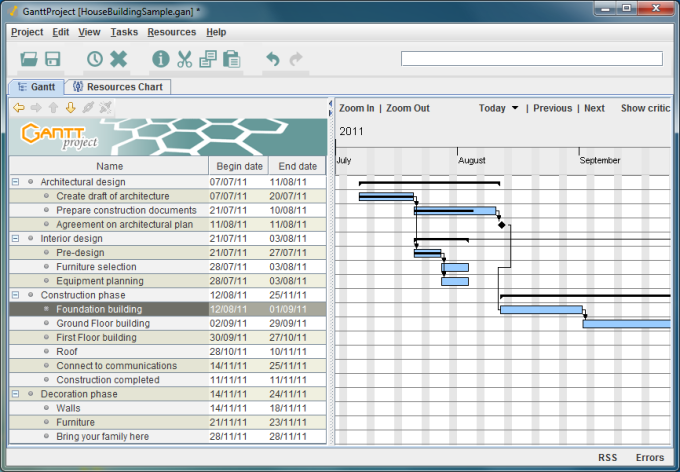 GanttProject provides a wide range of project charting, milestone implementation and task-building. However, if you have never played with graphs, charts and bars before, you could feel a bit stranded using this tool. 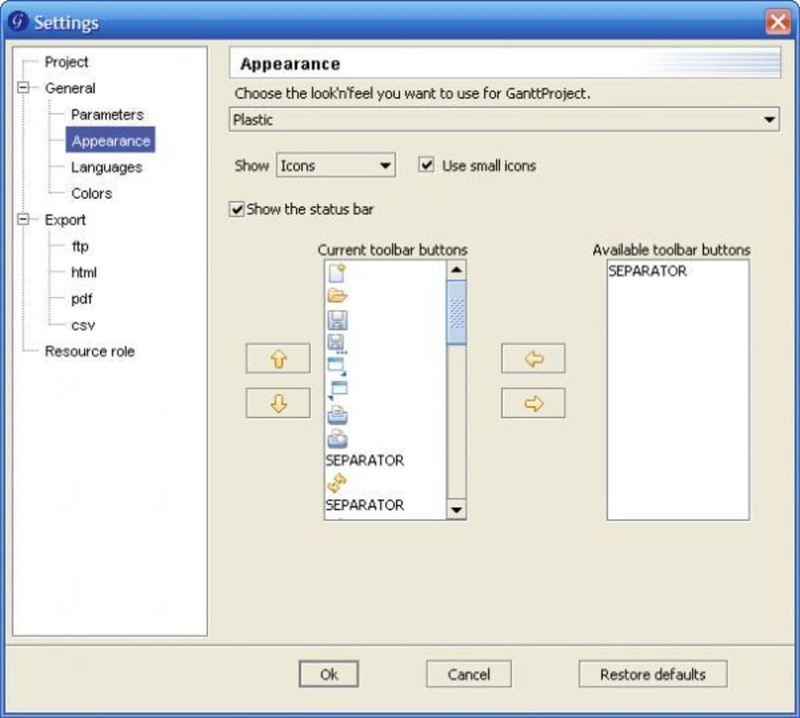 GanttProject, like Microsoft Project, lets you import and export functions between programs. Though there are many project management software applications around, one just cannot overlook the fact that GanttProject offers so much and does not cost money. For this reason alone, the tool is worth taking a deeper look at. GanttProject lets you segment your project into a “tree of tasks” and assign different tasks to respective team members. 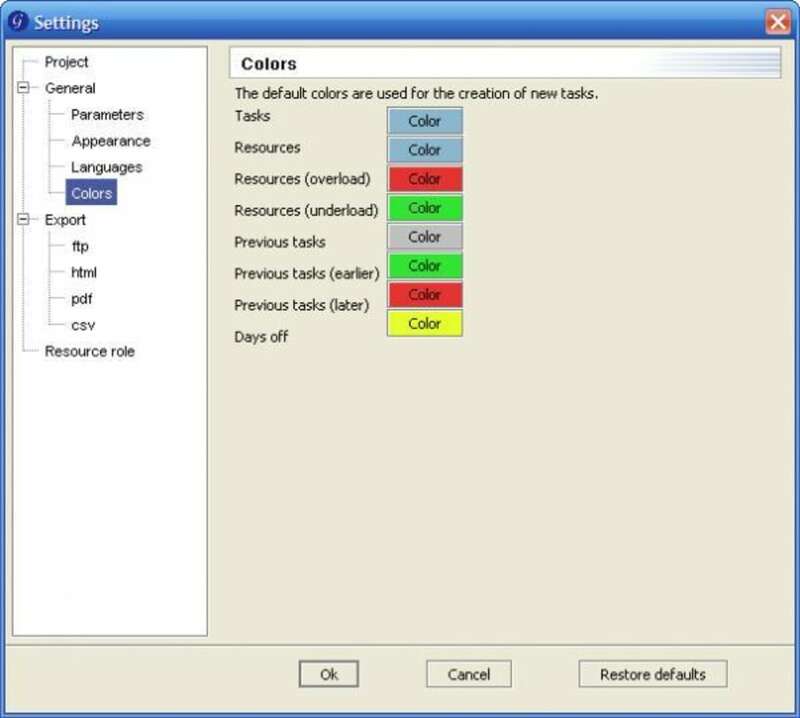 The tool lets you create dependencies for the tasks, similar to Microsoft Project. 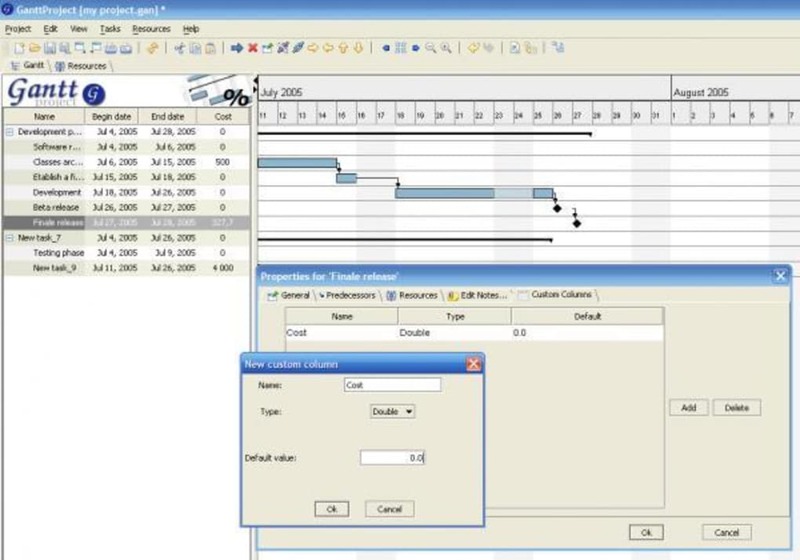 The projects are rendered incorporating a couple of charts: one for tasks, and the other one for resources. These charts could be generated as HTML or PDF reports, printed, or imported/exported with other applications such as Microsoft Project. Being a Java app, GanttProject works with Mac OS, Windows, Linux and other systems that support Java. For experienced project management program users, this program would seem easy to use. New users, however, may fumble quite a bit. What do you think about GanttProject? Do you recommend it? Why?